Offers increased volume flexibility and performance. Vivaspin™ 20 Centrifugal Concentrator handles up to 20mL in swing bucket rotors and 14mL in fixed angle rotors accepting 50mL centrifuge tubes. Features twin vertical membranes for unparalleled filtration speed and >100-fold concentration. Vivaspin™ 20 centrifugal concentrators have been developed to offer increased volume flexibility and performance. 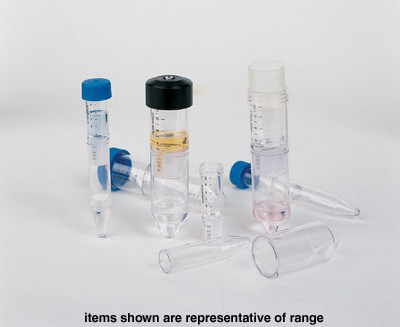 Vivaspin™ 20 handles up to 20mL in swing bucket rotors and 14mL in fixed angle rotors accepting 50mL centrifuge tubes. Vivaspin™ 20 features twin vertical membranes for unparalleled filtration speed and >100-fold concentration. 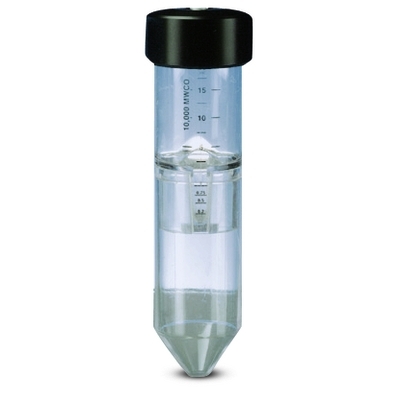 Volume graduation allows to monitor the concentration process and the modified dead stop pocket simplifies pipetting of the final concentrate. For higher process flexibility, Vivaspin™ 20 is available with unique accessories and operating methods. For one-step desalting following concentration, a diafiltration cup filled with buffer is placed on the concentrator and spun to achieve 98% salt removal, instead of two spins to achieve the same result with the traditional refill and re-spin procedure. When an appropriate centrifuge is unavailable, or for single sample processing, for gas pressure filtration, Vivaspin™ 20 can be filled with up to 15ml and then pressurised for bench top concentration. For even faster processing, gas pressure filtration can be combined with centrifugation. Pressure-fugation is particularly useful for difficult or viscous samples such as serum, when using a low process temperature, or generally when minimum process time is essential.